Only picture (cell phone pic with a dirty lens) my wife and I got of last weekend's ribs, here they are on the Yoder about a 1/2 hour from slicing time. 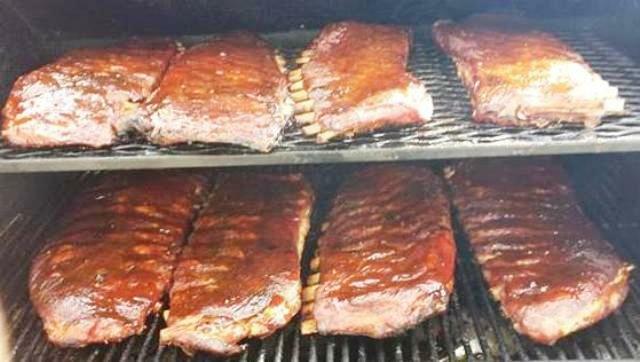 This was our third year participating in this local event, but first time we placed in judges or people's choice... sure was fun drinking beer and making appetizers while the ribs were on! Great news Marty, I bet you and the wife had a super time. Thanks for sharing. best ever ribs that is needed for both Christmas and New year special dishes.